So, you have decided to go to the Pink Motel Pool Party 2012 this year? 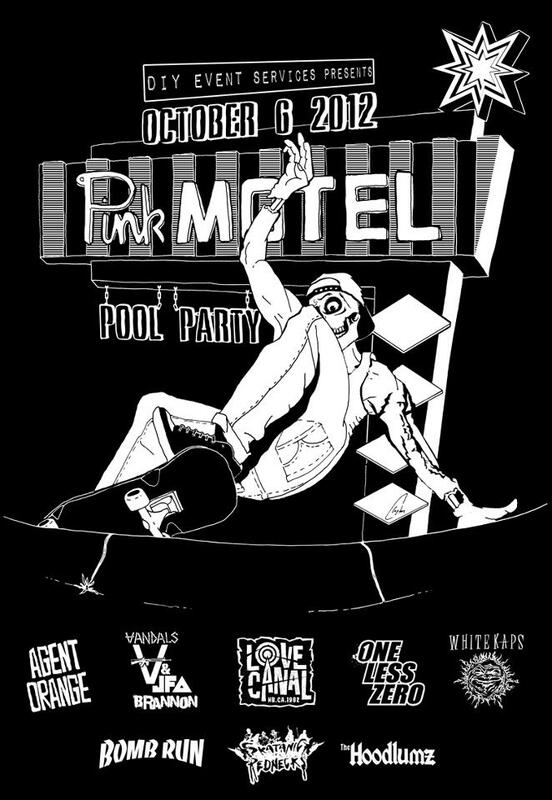 You see, that’s a good idea, there’s nothing like entering an adrenaline contest and the Pink Motel Pool Party 2012 is the place to be on October 6th, especially since the world famous Pink Motel has been a pilgrimage for skateboarders for the last four decades. In 2011 Ruffo Espinosa organized an amazing event in which skaters flocked to the bone-dry desert of Sun Valley to skate, rock out and rejoice in the "Fishbowl" at the Pink Motel. The Pink Motel Pool Party is one of the embodiments of pool skateboarding… Ever since it was first invented in the Los Angeles basin; Pool skateboarding has been the most difficult, intense and revered kind of skating in the skateboard world. The steep slopes of the sides, the speed of the concrete and the strange bumps and cracks of the concrete make pool skating as tricky as it is thrilling. 1 Start with the right board. It means your street deck won’t work here and will only garnish you with chipped teeth. But don’t believe that because you will ride a Hosoi or an Alva board, you’ll be the king… Preferably choose a board that is between 8 and 9 inches wide and has a 15-inch wheel base. Short decks are going to work better than long ones since you can maneuver more nimbly and also do a kickturn off of the lip of the pool. Most importantly, though, make sure you use a board that you know and feel comfortable with. 2 Get your halfpipe and skatepark pool riding down. Avoid arriving like a star and drop. You can't jump into an empty pool, which is a dangerous and chaotic skating environment, until you've mastered the skatepark's pool and, before that, the half pipe. Get out there early in the morning when you won't get steamrolled if you happen to fall. Pay specific attention to your kickturns. Ask advice to advised skaters. 3 Start in the pool. Dropping in to the pool from the ledge is madness and useless, unless you're a seasoned pool skater or you're wearing body armor to skate. Start from the bottom of the pool and push hard to get partly up one side. Kickturn to get back down and do the same on the opposite side until you build some momentum. If you don't execute the kickturn correctly, just slide down on your knees (if you're wearing knee pads). 4 Work on the transitions. Unlike miniramps or even skatepark pools, real pools have very fast, uncontrollable transitions. As you progress with your kickturns, make sure to work different kinds of transitions, preferably in different pools. Take a few hours or even a whole day to work on a given transition so that you master it before you move on to something more difficult or even just a little different. 5 Go see the guys at the Pink Motel on October 6, 2012. 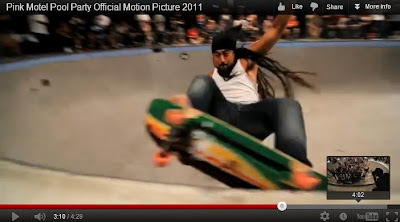 Those guys are seasoned skaters and have been riding pools before your momma was born. 6 Don’t complain if you break your teeth or your wrists, you were warned! Keep me posted Xavier - I want to come! !